Wanted an old vintage type skin, so I came up with Poinsettia, a simple but very usable skin, nothing fancy. 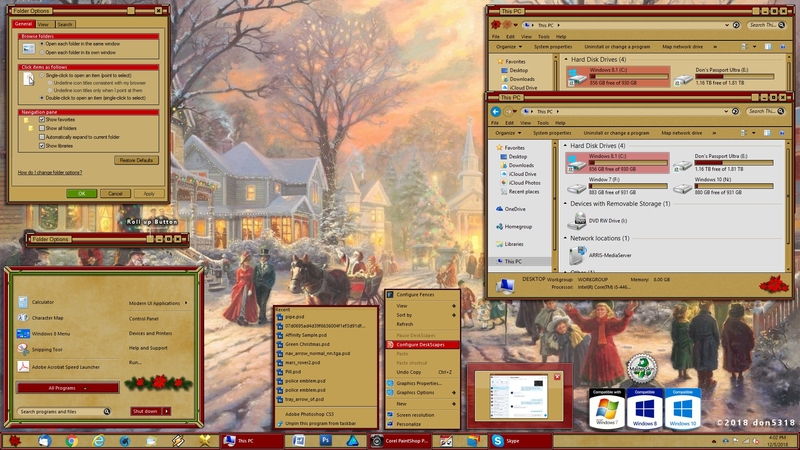 It has sub styles for Win 7, Win 8.1, Win 10, dark/light Explorer background, and roll up button too. Enjoy. Fantastic skin for this time of year Don! Nice and Christmassy!! Ho Ho Ho!! Thanks, Don, for yet another fine work. Another great one ! Thanks.. Thanks Dave, Jim, and Mike. Thank you Nikos, same to you as well.